This summer I got to travel to Italy after a few years too long after being there last. All of the touristy spots and museums, paintings and churches in Northern and Central Italy provide an amazing experience - Rome, Venice, Milan, Pisa, etc. 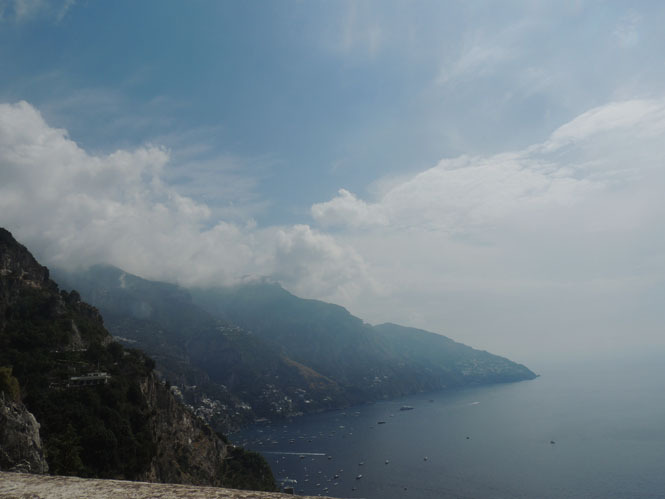 - but one thing I hadn't done before is see the majority of the Amalfi Coast... And let me freakin' tell you guys, it's breathtaking. And now every time I go, I will most definitely be making it a priority to drive the coast line. 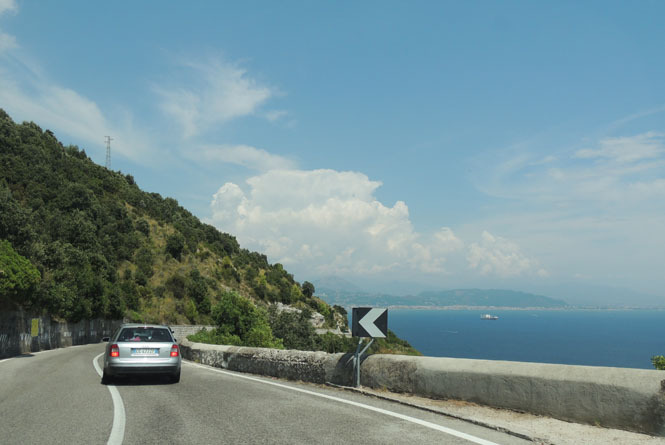 There's a ton of places to start and ways to go, and driving the Amalfi Coast is a bit time consuming - but it's the best 2-3 hours you'll ever drive! With every look-out spot and every small fruit stand you pass along the way comes a new endless view pure beauty. Every time I'm asked where to go in Italy, the Amalfi Coast will be my answer! We flew into the Naples International Airport; my first time flying here as I usually fly into the Fiumicino airport in Rome. 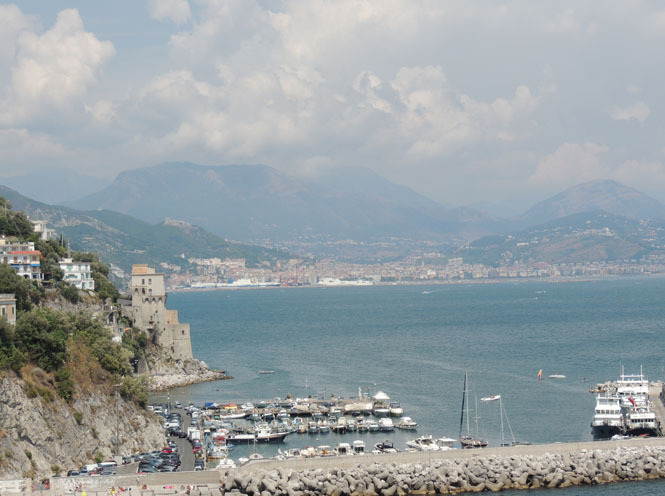 The Bay of Naples essentially starts the Amalfi Coast, and it's a fairly short drive (~45 minutes) to Sorrento, which is one of the many cities a part of the Amalfi Coast. It's a great place to start because of the distance to the airport and because it's gorgeous - shocker, I know! Every village and building along the Amalfi Coast is nestled away into the mountain side and filled with vibrant colors and history. 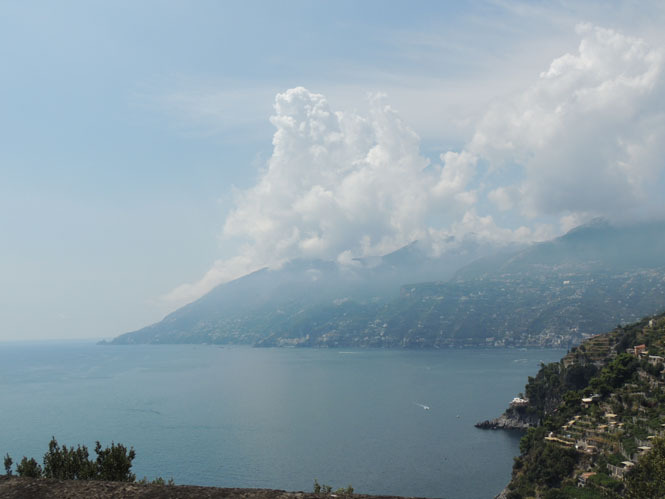 The entire drive from Naples down to Salerno provides the most beautiful, Instagram-worthy moments you could ask for. 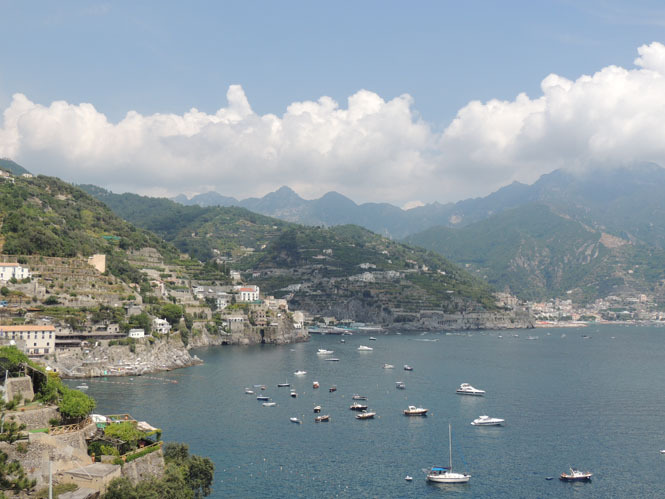 Some of the must-see spots and stops to make along the coast include Sorrento, Positano, Praiano, Atrani/Amalfi and Marina di Vietri. The roads are super windy and narrow, so having to drive slow will allow you to see nearly every view but these towns are worth the stop. Whether you get out for some pictures, stop to eat lunch or just do a little sight seeing around the town, getting to see the different villages and views that each provides is an awesome experience that's sort of off the beaten path when it comes to being a tourist in Italy, if you ask me. 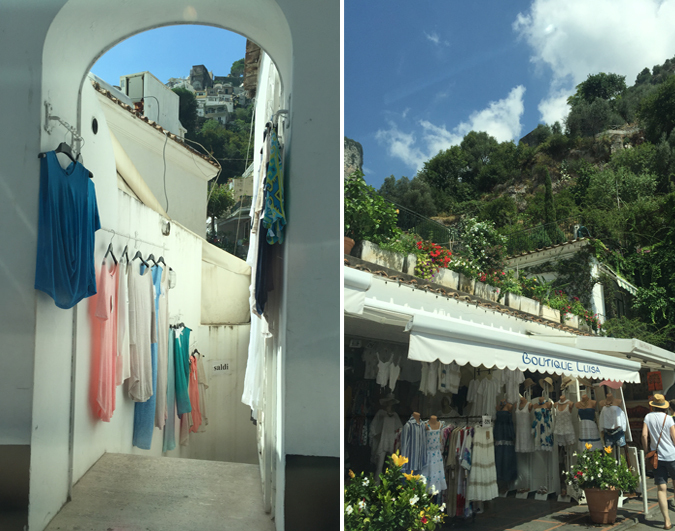 Two fun little boutiques as you drive through the winding roads of Positano... I'm still amazed at the cute little things you can find at these shops! If you have the time, definitely stop and take a look. Positano is one of the better known spots along the Amalfi Coast and I've always known from pictures that it's gorgeous, but man - it wasn't until I saw it in person that I realized what the hype was about. Positano is the prettiest sea-side town with the oldest buildings, covered in gorgeous vines and flowers. There are endless shops, alley ways and windy roads leading down and through the town that you absolutely can't miss! Parking is definitely difficult and I'm told it's worse in the heat of the summer, which of course is when I was there. A couple of the locals told us that coming in the spring is the best because of the weather and lack of tourists, so it's easier to get around. The traffic was insane - between people crossing the streets (my sister and I couldn't believe how little the people cared about passing cars... kind of crazy!) and cars parked in every spot possible it's hard to even move! But worth every. single. second. Now... when it comes to deciding if you'll drive the coast or use a touring system and be on a bus, I wouldn't hesitate in saying to drive it. A lot of people warn against it because of how windy the roads are, but being on a crowded bus (ESPECIALLY in the summer) just doesn't seem enjoyable to me. 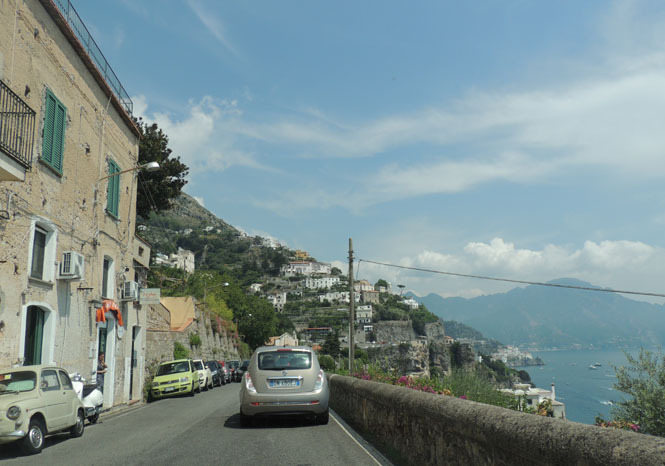 Yes the roads are narrow and on the side of a mountain, but you'd want to take it slow regardless so you don't miss a second of Amalfi's beauty. Once you begin driving the Costiera Amalfitana, you quickly realize that there's tons of hidden gems - restaurants, history and nothing short of amazing beauties. A lot of the restaurants you encounter are classic Italian too; there are touristy spots, but you can always tell the difference and it's so awesome to experience a true Italian menu. Italy is such a beautiful place and I highly suggest traveling around the Amalfi Coast if you're looking for something a little less touristy than a place like Rome or Venice, and although it's busy in the summer when most of us travel to Europe - it's still gorgeous and extremely worth the while! Oh wow! These photos are breathtaking. I have never been overseas but would love to go. My husband was in the Navy and he says that Italy was the most gorgeous place he has ever been to and he cannot wait to take myself and our daughters someday. I was there last year and am dying to go back! Stunning photos! Did you get a chance to go to Capri? That was my favorite when I was there! Couldn't get enough of the white stucco and terra-cotta roofs! Looks amazing! I went to Europe for the first time this past summer and loved it! So many amazing places to see and I can't wait to go back! These pictures are gorgeous! The Amalfi Coast is on my bucket list! The Amalfi Coast looks so beautiful, I'd love to visit! Oh my gosh I've always wanted to go to Italy. It looks absolutely stunning. 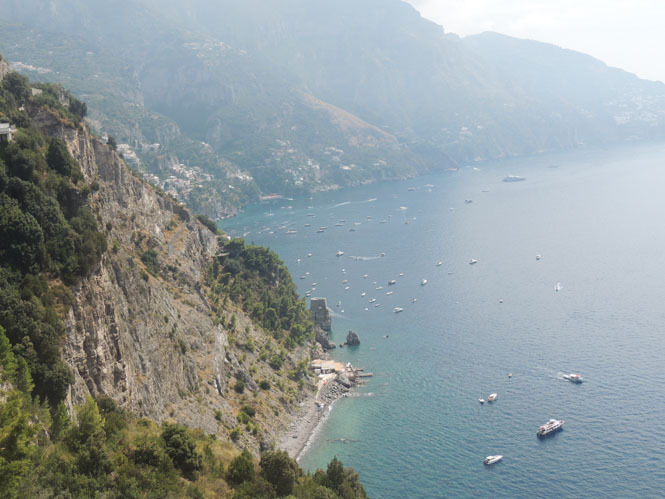 When I traveled to Italy I didn't make it to the coast and now I'm dying to adventure on the Amalfi coast. So gorgeous!!! These pictures honestly look amazing. I went to Italy last summer and couldn't get enough of my time there. 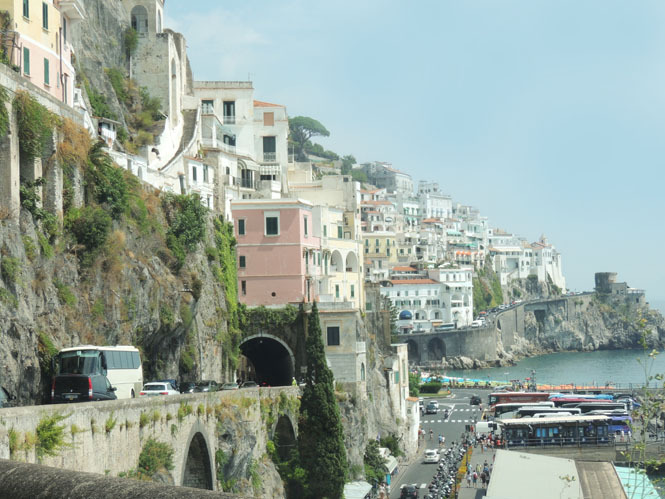 Everything is so picture perfect and the Amalfi coast looks like it is, too! We LOVED Sorrento! We did a tour of the lemon orchards and a lesson in limoncello making. SO fun! 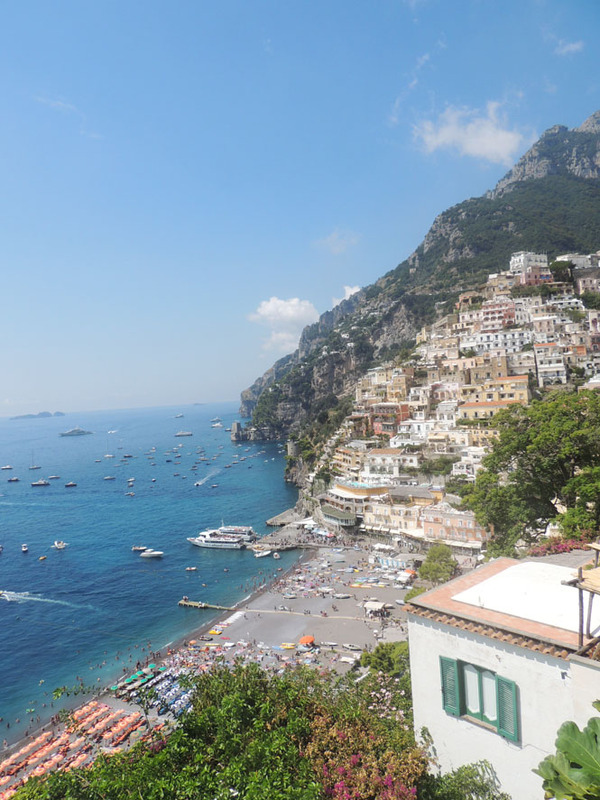 We just got back from Positano last week, it is my most favorite place I have ever visited! So incredibly gorgeous! I've been to many places in Italy but this one, it's SO on my list now! Great post! I'm definitely convinced that I deserve an Italian road trip! That looks absolutely amazing! I'm trying to go to Italy next year, I'll definitely be checking out the coast! Woww!! Those cliffs and those colors. Simply stunning. Looks amazing!! Definitely on my bucket list! What a beautiful coast. I've never been but it's on my list, what a fun trip! What a gorgeous view! I would love to shop with local farmers and eat everything fresh. So much better than a grocery store! Ugh I MUST go and visit now! Such great pictures! Oh my goodness! That view is incredible, gorgeous and breath-taking. I have always heard about how beautiful Italy and the coast was. It's one the places I would love to travel to someday. It looks stunning! I really want to go someday. These pictures are just incredible. I could use a getaway like this. Thanks for giving ms a glimpse. 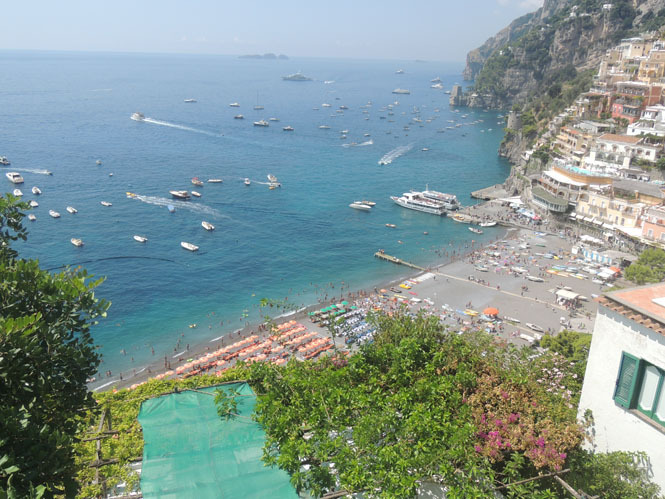 I studied abroad in Florence, Italy and I never made it to the Amalfi Coast, but I SO WANT TO! It looks just as amazing as I would've pictured it, great photos! Italy is one of my dream vacation destinations. I would love to see the Amalfi Coast in person one day for sure. These are gorgeous photos and scenery. Thanks for sharing your amazingly beautiful experience. What a good place to visit with my family. I want to go there and see it in live. #takemehere Amalfi Coast is definitely on my bucket list! Your pictures are breathtaking!!! I would love to visit this part of Italy, those are some narrow streets! This looks like a beautfiul place to visit. My daughter and I always talk about maybe visiting Italy someday but it's more of a dream than plan at this point. This looks like a beautiful place to visit. I think it is neat how they build their homes differently there. I hope that I can visit one day. 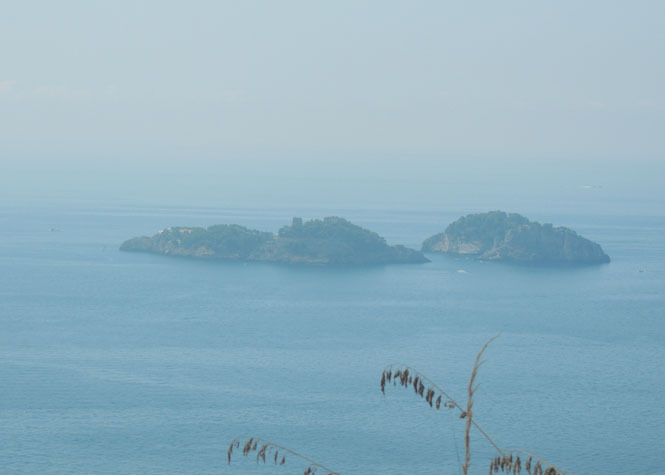 I love this Amalfi Coast! It is fabulous and I want to spend a vacation there. I've never been to Italy. There are so many places I'd love to visit. Will have to put the Amalfi Coast on my list now! Wow, what a gorgeously stunning coast line! 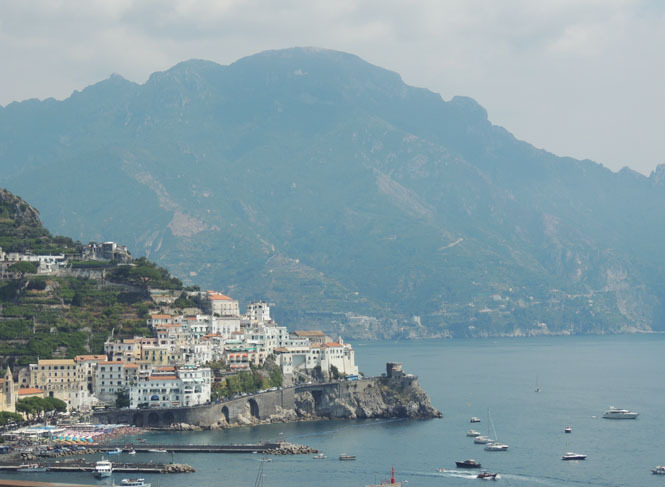 Italy is one of my dream trips and I think the Amalfi Coast will have to be part of it. That's nothing short of amazing. I want to spend at least a year living in Europe. Probably not even enough to scratch the surface. How incredible! Your photos are amazing.. 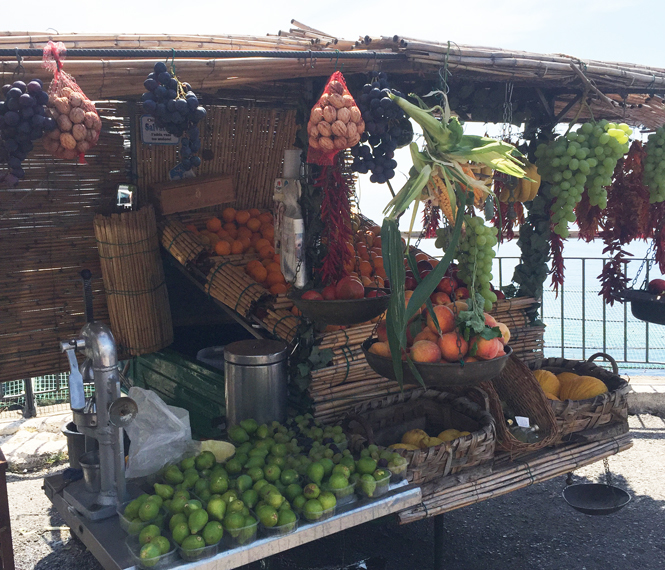 I've been dying to make it to the Amalfi Coast! Your photos make me want to go so bad! Such a beautiful and incredible place to visit! Will definitely include this on my bucket list. I can't wait to visit website EvoEssay and write my own travel experiences about this place.